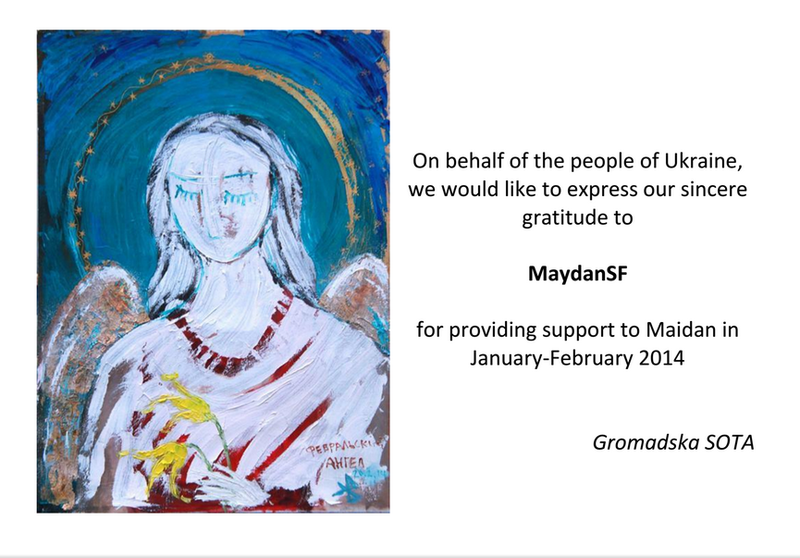 It means so much to receive a card of gratitude from Maidan in Kyiv! It is to all of you, who’s been supporting Ukraine and its people in this struggle for freedom, rights and dignity. Together we can make a difference in Ukraine. Together for the future of Ukraine! Thank you for being part of the MaydanSF movement. Thank you very much for your letter. The response to my Facebook entry on the political situation in Ukraine has overwhelmed me. About 1.000 letters – a huge number from Ukrainian citizens itself – have reached me. These letters contained numerous harrowing eyewitness accounts and photos as well as many links to video recordings that document the violent confrontations in Ukraine. More than ever I am convinced that we cannot carry on with “business as usual” in Ukraine. The resignation of Prime Minister Nikolai Asarow and the entire government on January 28th is an important step for a political solution. The same applies for the withdrawal of undemocratic laws that had been adopted on January 16th 2014. However, further steps must follow. All parties and politically active people in Ukraine are called upon to work peacefully and jointly on the future of the country. An honest dialogue between the government and the political opposition is the only way for a peaceful non-violent solution. President Viktor Yanukowitsch must now act quickly and avoid further escalations. He must withdraw the controversial laws without any delay and must not link his signature conditions. If he keeps on playing on time, it may ultimately be necessary to consider targeted sanctions. 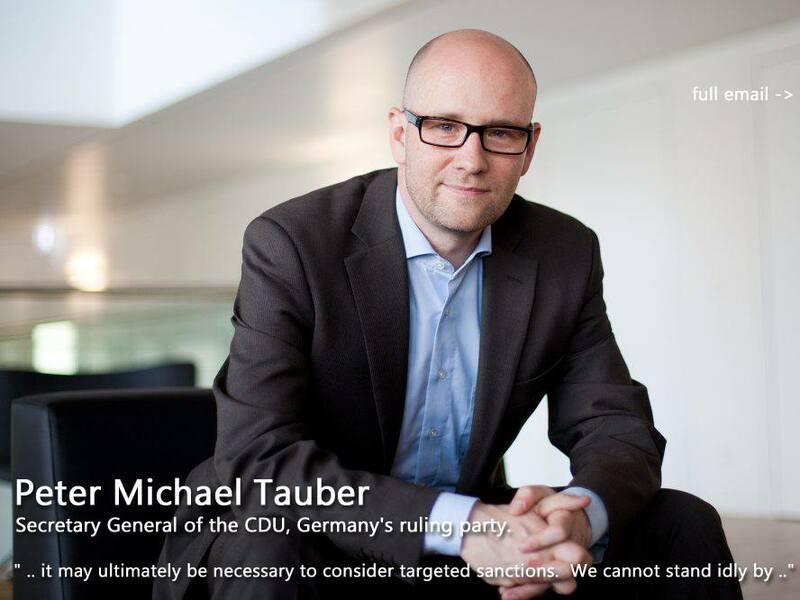 We cannot stand idly by if democracy, rule of law and human rights in Europe are disregarded. The violence of the Ukrainian security forces against peaceful protestors is disproportionate and unacceptable. At the same time I urge all protestors to continue to defend their positions nonviolently. I pay my respect to all peaceful protesters. My sympathy stays with the relatives of the peaceful protesters who were killed. Germany and the European Union want to make a contribution to the European orientation of Ukraine. This also means to enable people in Ukraine to make it easier to enter the European Union and to ease visa rules. Ukraine has a clear European perspective through the negotiated association agreement. However, a condition for its signature is an acknowledgment by the governance in Kiev to freedom, democracy and the rule of law. I condemn Russia’s attempts to put countries in our common neighborhood under pressure. At the same time it is clear to me that Ukraine can maintain good and close relations with both sides – the European Union and Russia. Ukraine can then also develop into an important bridge between the European Union and Russia. We briefed Jessica on the events in Ukraine and about the Euromaidan protests around the world and United States including the San Francisco protests. She took our petition (signed by you guys at the Dec8 MaydanSF event) and will consider several other requests. Senator Feinstein does not yet have an official position on Ukraine. Dianne is a close ally and friend of Senator John McCain, in the past, they’ve accomplished many deeds thru joint efforts. We may write a draft letter asking for sanctions on Yanukovych and ask D. Feinstein to pass it to McCain. We also need to contact McCain directly – he is our best chance to drive this in USA as he is focused on international developments and specifically Ukraine (he just visited Kiev). 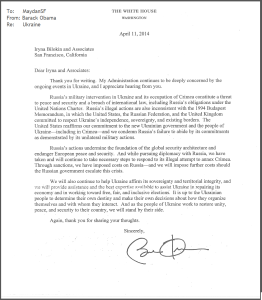 We asked for Dianne Feinstein to send a letter asking for sanctions on Yanukovych to Secretary of State John Kerry. She agreed to review a draft proposed by us. We asked her to introduce a bill similar to “Magnitsky Act” for Ukraine calling for sanctions on Yanukovych. Also for material financial aid to Ukraine. No clear response on this one. 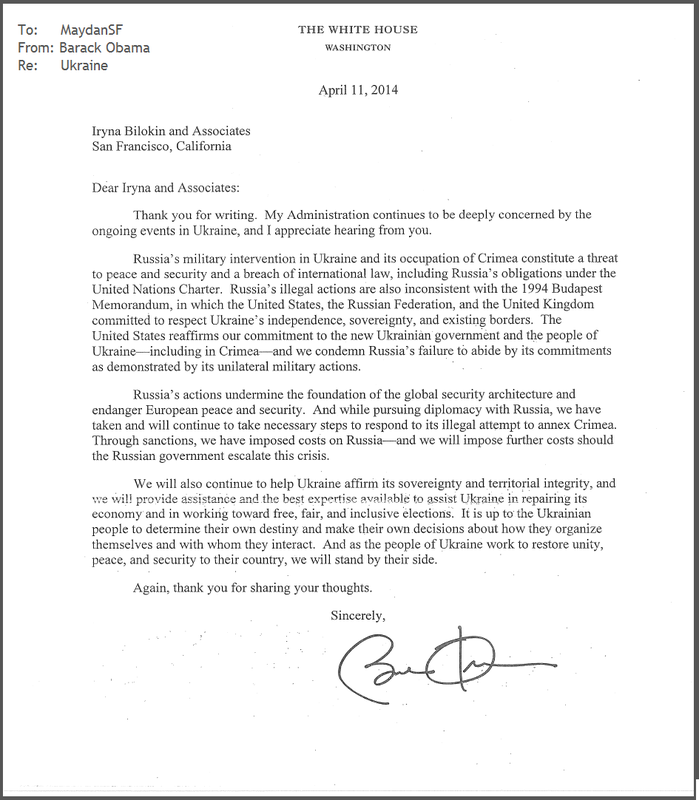 We also asked her to contact other senators and form a “Ukraine working group “. She said this would be difficult. She suggested we write letters/Petitions to European Governments and submit them thru the Consulates in SF (German, French, British). She suggested we find out the names of staffers in the White House responsible for foreign affairs and correspond with them, and get the names of the Foreign Relations committee and contact those Senators directly. Dianne is not on it. doxycycline 100mg capsule arrangements are in place).